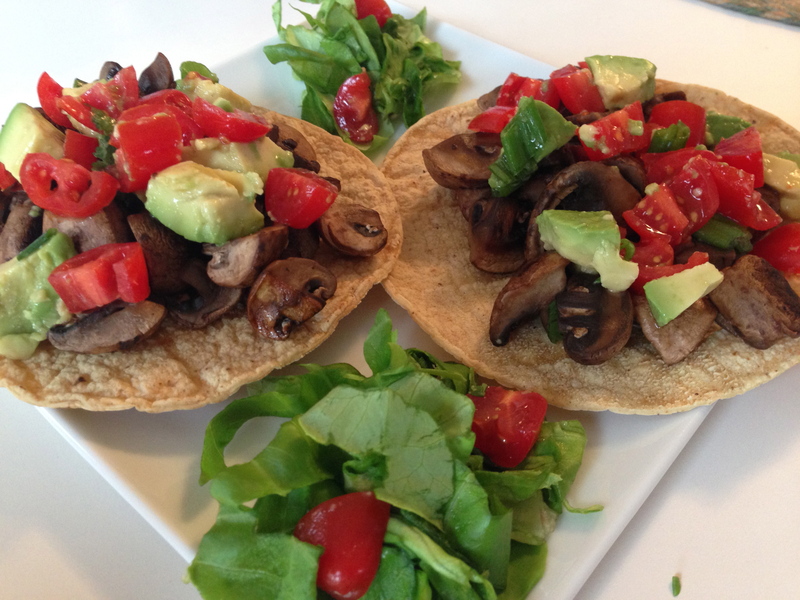 Mushroom Corn Tortillas are plant-based soft corn tortillas filled with meaty mushrooms and topped with a tomato and avocado salsa that has been seasoned with scallions, cilantro, chipotle powder, salt, and pepper. 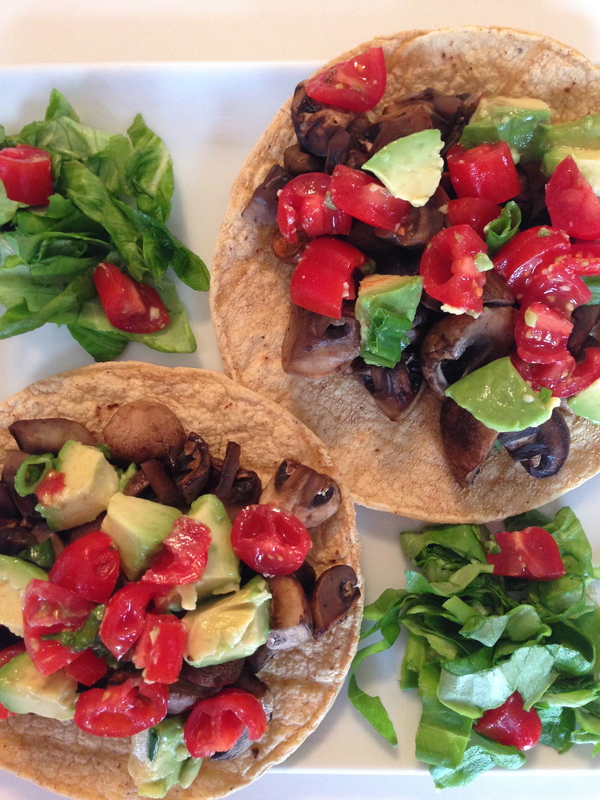 Easy to make – less than 15 minutes – and delicious, the Mushroom Corn Tortillas are also wholesome and nutritious. The key to the quality of this recipe is in the tortillas. Buy fresh corn tortillas made with stone ground corn, water, and lime for the best flavor. 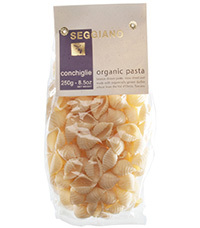 All of the ingredients can be purchased at Trader Joe’s which makes the shopping easy and economical. The recipe can easily be doubled to serve 4. Chop the mushrooms into quarters and place in a large skillet pan with the heat on high. Cook the mushroom stirring frequently until nicely browned. Add the chipotle seasoning and blend for 1 minute. Remove from the heat and set aside. Place the chopped avocado in a medium-sized bowl. Squeeze the lemon over the avocado and gently stir to distribute the lemon juice. Add the chopped tomatoes, scallions, and cilantro. Sprinkle with salt and pepper and stir to blend. Sprinkle with a bit more salt and stir to blend. Taste and adjust the seasoning. Heat the tortillas (dip into cold water and place onto a hot cast iron skillet for 30 seconds each side. Remove and stack on a damp kitchen towel. Fold over the towel and wrap the tortillas allowing them to steam for about 5 minutes). This will keep them soft and moist. Or, simply wrap in foil and heat in a 350 degree oven for 5 minutes. Place the tortillas on a plate. Scoop the cooked mushrooms down the middle of the tortillas. 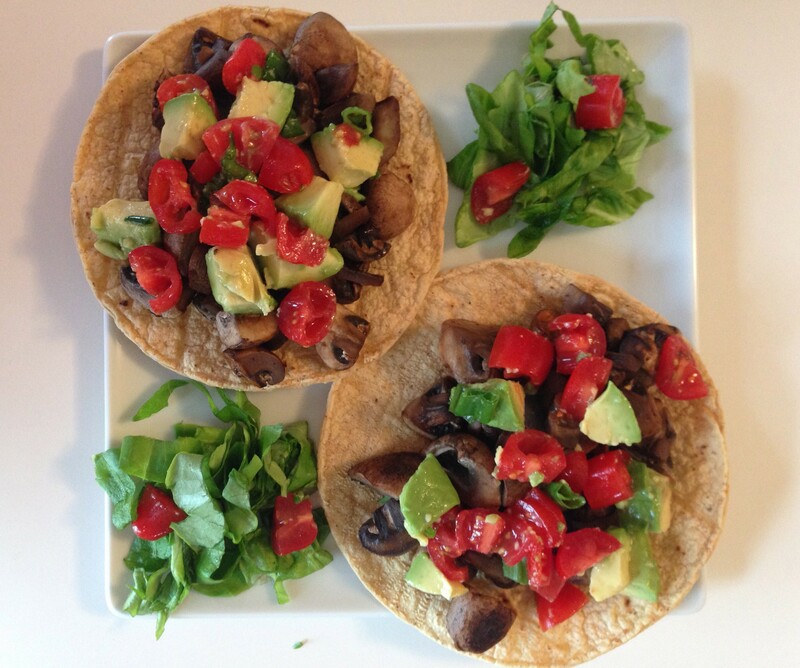 Top with the avocado tomato blend and lettuce or place the lettuce on the side along with some salsa.